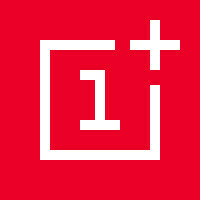 OnePlus co-founder Carl Pei to Samsung: "let me be your intern"
For a start-up that has hitherto released just two smartphones, OnePlus has made quite a name for itself. With bold marketing strategies and great smartphones at low prices, the fledgling firm certainly knows how to get people interested. The invitation system for its handsets can be tedious, and the launch of the OnePlus 2 hasn't gone down as smoothly as it perhaps should have. This partially the reason why co-founder Carl Pei has made an audacious attempt to gain himself an internship at Samsung, from which he believes he could learn a lot about the smartphone business. Samsung was founded 77 years ago. Running a company that does so well, for so long, with such a wide range of products is an astounding feat by any measure. They’ve shipped hundreds of millions of phones around the globe through a multitude of sales channels; you can’t help but admire their operations. However, in citing a few "less-than-stellar" quarters on Samsung's part, Pei implies that he could pass on some of the info he has learned in his time at OnePlus, particularly in engaging with the community. In suggesting he be taken in as an intern, he also offers a swap deal, with OnePlus open to the idea of hosting a Samsung executive and sharing info on how the start-up goes about its business. It's a fascinating, brazen move from Pei, and while many will read it as tongue-in-cheek, he's clearly serious about his ambitions. He also, by the tone of the piece, seems confident enough that Samsung might consider the approach, and in a market where companies spend as much time bickering as working together, it could be a refreshing collaboration. Something like a kid helping his granddad use a computer while the old man passes on a lifetime's vast wisdom and experience, Samsung could well take a chance on this one. It'd present a decent marketing stunt from both sides, and while OnePlus has a great deal more to gain, not even Samsung can afford to get complacent in the ever-changing mobile landscape. Samsung has yet to publicly respond to Pei's article. He's gonna need an invite. The invite system is a novelty that will wear thin over the years as people get sick of delays and uncertainty. The invite system will be able to stop if and when they become an established company. They're too young right now to risk overstocking themselves and getting hosed on inventory like Amazon with the Fire Phone. Amazon's an enormous company and can eat it, at least once. OnePlus would've died horribly if the same thing happened to them. Samsung Galaxy Oneplus on the way. What about good old fashioned resign? So another guy who actually knows what he is doing can take control. If you don't have necessary equipment to do that, you can always copy Xiaomi. You should know these Chinese fellows, who sold 60 million units of smartphone past year online only and build themselves a much bigger community years before than yours.